After a dull hot drive along a dusty, bumpy road, dusty because the heavy wheels of ox-drawn wagons had left deep ruts in it, we reached the ashram. We were told that the Maharshi would see us in a little while. We had brought a basket of fruit to present to him, as I was informed that it was the graceful custom, and sat down to the picnic luncheon we had been sensible enough to put in the car. Suddenly, I fainted dead away. I was carried into a hut and laid on a pallet bed. I do not know how long I remained unconscious but presently I recovered. I felt, however, too ill to move. The Maharshi was told what had happened, and that I was not well enough to come into the hall in which he ordinarily sat, so, after some time, followed by two or three disciples, he came into the hut into which I had been taken. THE RAZOR’S EDGE is probably the first book you think of in relation to British novelist, W. Somerset Maugham’s encounter with an Eastern guru and his fictionalized protagonist, Larry Darrell’s search for the meaning of life. 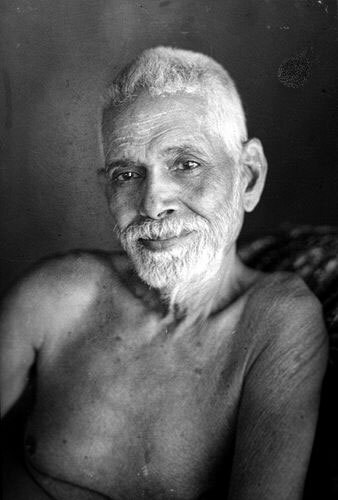 And yet, for me, it is his nonfictional essay of meeting Bhagavan Sri Ramana Maharshi, “The Saint”, published in Points of View in 1958 and written in his inimitably elegant, understated style that moves me the most profoundly, not least owing to the fact that it comes from a highly respected man of post-war English letters and a period of literature that conjures up antimacassars, aspidistras and afternoon tea. What follows is what I wrote in my notebook on my return to Madras. The Maharshi was of average height for an Indian, of a dark honey colour with close-cropped white hair and a close-cropped white beard. He was plump rather than stout. Though he wore nothing but an exiguous loincloth he looked neat, very clean and almost dapper. He had a slight limp, and he walked slowly, leant on a stick. His mouth was somewhat large, with thickish lips and the whites of his eyes were bloodshot. He bore himself with naturalness and at the same time with dignity. His mien was cheerful, smiling, polite; he did not give the impression of a scholar, but rather of a sweet-natured old peasant. He uttered a few words of cordial greeting and sat on the ground not far from the pallet on which I lay. 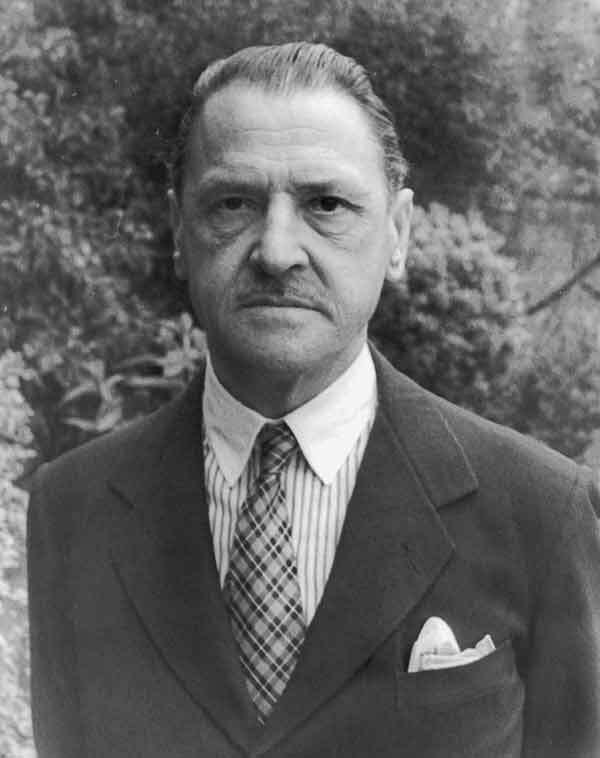 Despite living the life of a successful writer, always travelling first class and residing in a spectacular villa on the French Riviera, Somerset Maugham (25th January 1874–16th December 1965) was restless for that most elusive gift of all—spiritual enlightenment. Furnished with a handful of introductory letters from an eminent friend and neighbour, the Aga Khan, he set off to India, where at a cocktail party in Chennai he was informed of a modern-day saint called the Maharshi living in Tiruvannamalai at the foot of the holy mountain, Arunachala. 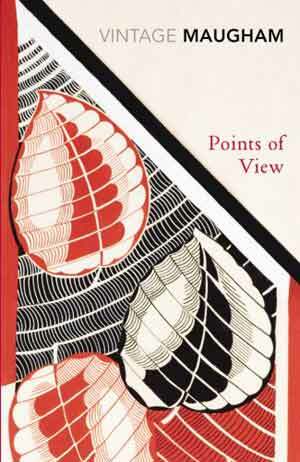 Immediately, Maugham’s curiosity was aroused. After the first few minutes during which his eyes with a gentle benignity rested on my face, he ceased to look at me, but, with a sidelong stare of peculiar fixity, gazed, as it were, over my shoulder. His body was absolutely still, but now and then one of his feet tapped lightly on the earthen floor. He remained thus, motionless, for perhaps a quarter of an hour; and they told me later that he was concentrating in meditation upon me. Then he came to, if I may so put it, and again looked at me. He asked me if I wished to say anything to him, or ask any question. I was feeling weak and ill and said so; whereupon he smiled and said, ‘Silence is also conversation.’ He turned his head away slightly and resumed his concentrated meditation, again looking, as it were, over my shoulder. No one said a word; the other persons in the hut, standing by the door, kept their eyes riveted upon him. After another quarter of an hour, he got up, bowed, smiled farewell, and slowly, leaning on his stick, followed by his disciples, he limped out of the hut. And thus in January 1938, Somerset Maugham was blessed with a private audience with Bhagavan, albeit precipitated by the fact that he had passed out in a swoon, not unlike Sri Ramana’s own death experience at the age of 16. ‘Peace.’ He said casually with a light smile. 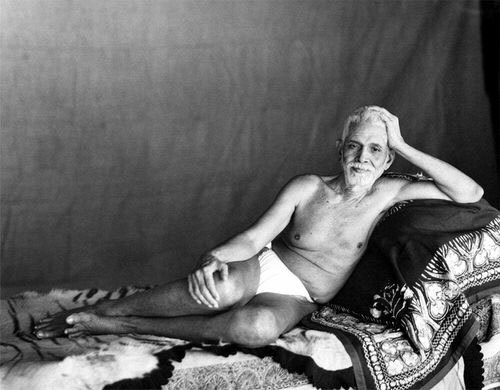 I do not know whether it was the consequence of the rest or of the Swami’s mediation, but I certainly felt much better and in a little while I was well enough to go into the hall where he sat by day and slept at night. It was a long, bare room, fifty feet long, it seemed to me, and about half as broad. There were windows all around it, but the overhanging roof dimmed the light. The Swami sat on a low dais, on which was a tiger skin, and in front of him was a small brazier in which incense burnt. Now and again a disciple stepped forward and lit another stick. The scent was agreeable to the nostrils. The faithful, inhabitants of the ashram or habitual visitors, sat cross-legged on the floor. Some read, others meditated. Presently, two strangers, Hindus, came in with a basket of fruit, prostrated themselves and presented their offerings. The Swami accepted it with a slight inclination of the head and motioned to a disciple to take it away. He spoke to the strangers and then, with another inclination of the head, signified to them that they were to withdraw. They prostrated themselves once more and went to sit among the other devotees. The Swami entered that blissful state of meditation on the infinite which is called Samadhi. A little shiver seemed to pass through those present. The silence was intense and impressive. You felt that something strange was taking place that made you inclined to hold your breath. After a while I tiptoed out of the hall. 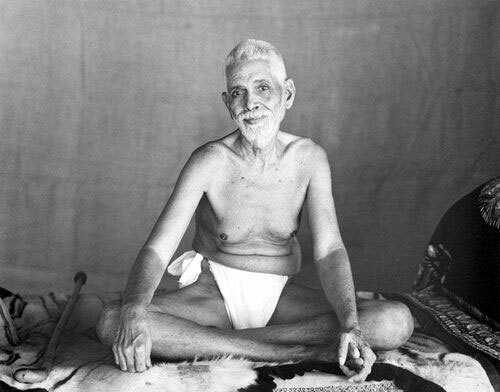 Maugham then goes on to recount the life and teachings of Sri Ramana Maharshi in greater detail, making it possibly the most concise and yet definitive biography of the great sage ever to be produced, written in such a mezmerising manner that even a non believer could not but feel intrigued by his engaging hagiographical report. Moreover, he brilliantly manages to encapsulate the very essence of the nondualist philosophy of Advaita, without ever having been a serious scholar of Vedic literature himself. Indeed, his skill as a storyteller brings even the most esoteric and “puzzling” Eastern teachings to life. Three years after his momentous meeting with Bhagavan, Maugham visited Hollywood, where he met the novelist, Christopher Isherwood, who many believe was the real-life inspiration for the character of Larry Darrell, despite being fervently denied by Isherwood himself. Maugham confessed to him that all he wanted to do was return to India and write one last book about Adi Shankara, the Hindu philosopher who consolidated the doctrine of Advaita Vedanta, and spend his final days confined to a communal monastery. Instead, he lived in his beloved Villa Mauresque on Cap Ferrat until his death at 91—a life devoted to literature, art and a private quest for his own inner peace.